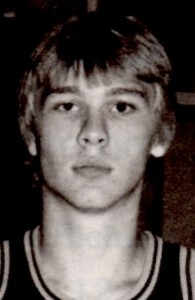 Bart played high school basketball for the Mitchell Kernels in 1983-84-85. He was named to the All-State teams three years in a row, with first team honors in 1984-1985. In 1985 he was selected Co-Mr. Basketball. Bart was good enough as a freshman to make the Varsity team. In 1983 the Kernels would finish third in the State Tournament. Bart would lead the team to consecutive State Titles in 1984-1985. in 1985 the Kernels would go undefeated with a record of 23-0. This would be the last year of the two class system. The two Class System was instituted in 1935 and only six A schools would go undefeated during that period of time. Bart would score 1149 points for the Mitchell Kernels. He would shoot 67%from the field, 84% from the free throw line and garnered 18 points per game. Is there any doubt he was nominated to the McDonalds All-American High School Team as a senior. At 6 foot 10 inches and weighing 225 pounds he was a dominant player inside. College coaches across the nation had there eye on Big Bart Friedrick. Bart would attend Drake University which played in the Missouri Valley Conference. Drake is located in Des Moines, Iowa. He received a full scholarship in 1985-1988. 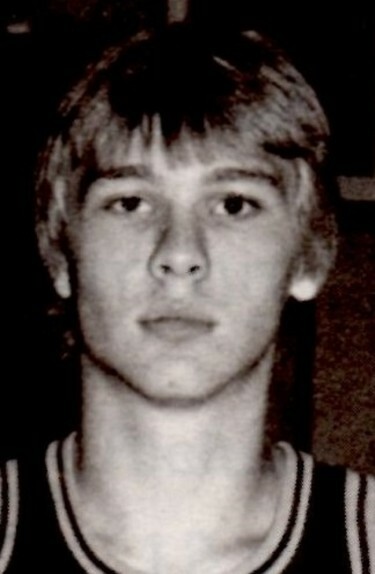 Bart was voted the Freshman player of the year in the Missouri Valley in 1985. That year Drake went to the NIT Tournament and lost to Marquette in the first round. Bart would score 1042 points while at Drake University. Bart would later be named to the all-decade team 1980-1989. He would graduate from Drake in 1990 with a BA Degree. Bart is one of the few players from South Dakota to play in the Missouri Valley Conference. Gary Garner was the coach at Drake during those years. Gary is now the head Coach at Dakota State University in Madison, SD. By the way, Wichita State is still in the Missouri Valley Conference. After graduation Bart would become an Independent Insurance Adjustor living in Spencer, Iowa for two years before moving to Sioux City, Iowa for 22 years. Just recently Bart has moved to Volga, SD were he works for Grinnell Mutual as a staff reinsurance adjustor mainly working in SouthWest Minnesota.Bart has never been married and has no children. Congratulations Bart on your selection to the Basketball Hall of Fame.